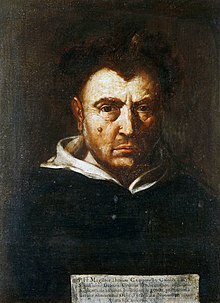 Tommaso Campanella (5 September 1568 – 21 May 1639) was an Italian philosopher, theologian, astrologer, and poet. [A]udacious Titan of the modern age, possessing essentially a combative intellect; a poet and philosopher militant, who stood alone making war upon the authority of Aristotle in science, of Machiavelli in statecraft, and of Petrarch in art. This page was last edited on 21 July 2018, at 11:03.